Sb≥99.65% or 99.85% or 99.9%; Silvery white solid with polish and crisp character; Density is 6.62 g/cm3; Melting Point at 630℃. About 25 kgs per ingot, in wooden case of 1000 kgs net each. Or as customer’s requirements. 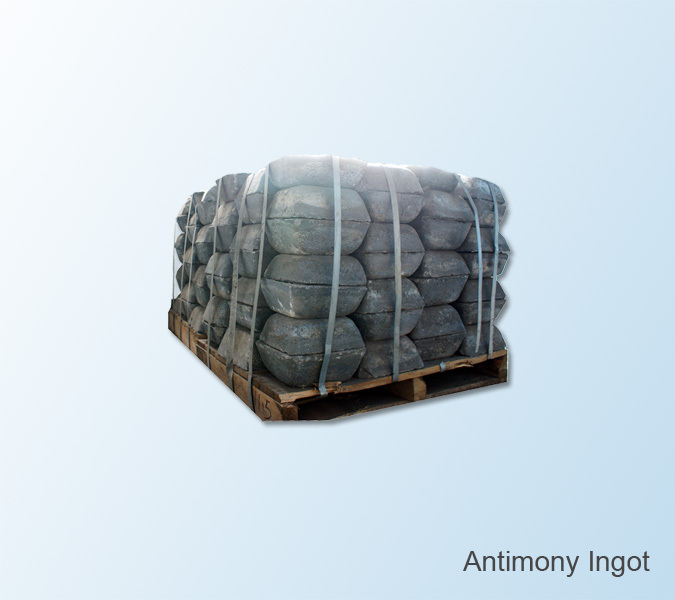 As the alloy hardener it is used in metallurgy, accumulator and war industry etc. It is also the raw material of the antimony oxide.